The community and the public always appreciate and value green marketing promos. It normally incorporates a broad range of activities, including product modification, changes to the production process, sustainable packaging, as well as modifying advertising. 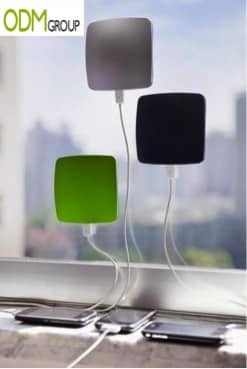 Solar chargers are excellent marketing for your corporate branding as they are very unique and can be easily personalized. There are a variety of colors available for these solar chargers and can easily to print your logo through silk screen printing. The charger can be stuck on to a window and with the light of the sun it will raise energy levels for our emergency needs. What does this green marketing promotional product involve? Solar charger is your “backup energy” and “extra battery” especially when you are travelling or on business trips. Solar chargers is convenient as it is portable and indispensably helpful whenever you may feel “powerless”. This promotional product can be packed in customized packaging such as blister cards, white boxes, gift color boxes or even ecological packaging to have a greater green marketing effect. The solar charger has a range of capacity from 1000 – 5000 MAH which gives people the opportunity to have stronger batteries. Worried about phones running out of battery? Why not include this marvelous promotional gift within your marketing purchase materials to provide your customers with a strong promo gift and a product that they will really value. 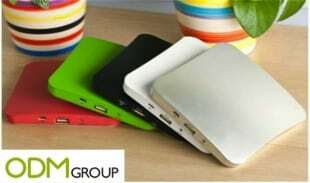 The fact that the charger is solar will make your brand look impressive as you are showing commitment to the environment effects. Solar chargers are the new trending promo gifts!